Toshiba has entered the Ultrabook market in India with the launch of the Toshiba Portege Z830. 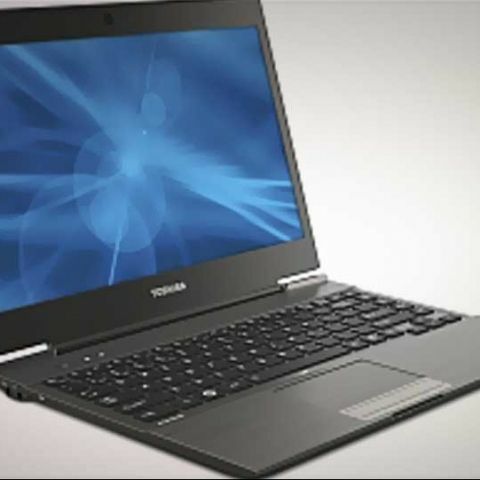 Toshiba claims that the Portege Z830 is the lightest Ultrabook available in the market, weighing a mere 1.2 kgs. The device was launched in the U.S. way back in September 2011. The Toshiba Portege Z830 boasts of an ultra slim design. The device measures a mere 0.63-inches thin and has a 13.3-inch display with a resolution of 1366x768. Under the hood, the device is powered by an Intel Core i5 processor, 6GB of DDR3 RAM, 128GB SSD, one USB 3.0 port, two USB 2.0 ports, a HDMI port and a display connector. Toshiba also claims that the backlit keyboard is spill resistant. The Portege Z830 runs on Windows 7 and will cost consumers Rs. 96,290. That’s more expensive than the top of the line 13-inch MacBook Air. You could get an entry level 13-inch MacBook Air with 128GB SSD, 1.7GHz dual-core Intel Core i5 processor, 4GB of 1333MHz DDR3 RAM, Two USB 2.0 ports Thunderbolt port and an SD card slot for Rs. 73,900. If you are in the market to pick up an Ultrabook, here’s a look at some Ultrabooks you can pick up today in India. If you are skeptical and want to see what Ultrabooks are expected to launch in the near future, here’s a look at 7 Ultrabook to look out for in 2012. If you are wondering whether you should pick up a laptop or an Ultrabook here’s a quick guide on Laptops vs Ultrabooks.